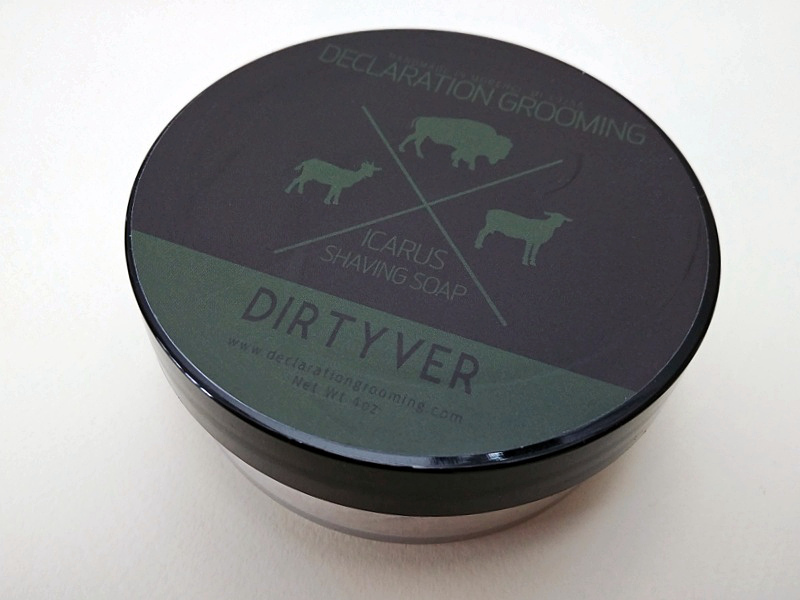 For sale: Declaration Grooming Dirtyver shaving soap (Icarus base). This is a brand-new product. 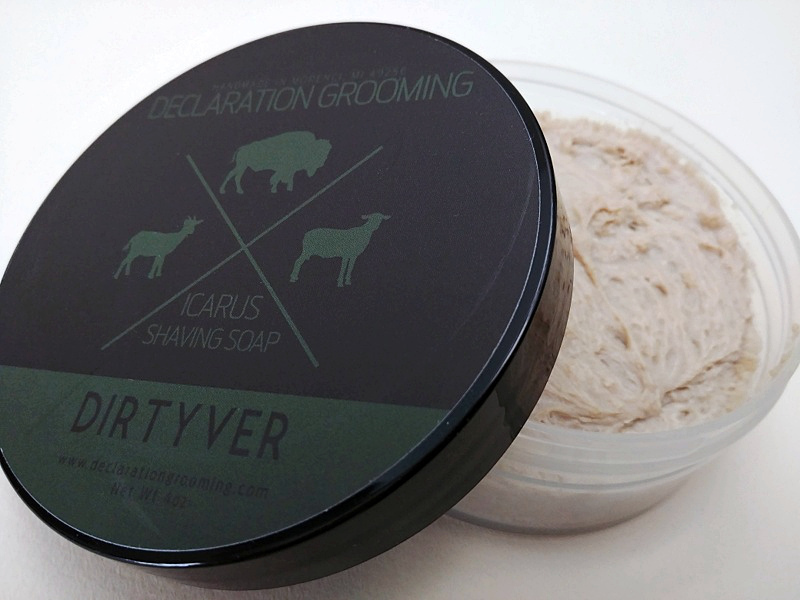 The label had the slight scuffing (see photos) when I received it from Declaration Grooming. Please note that this is a great soap, but with a polarizing scent. If you aren’t sure that you like vetiver fragrances, think carefully before buying this one. This is a great soap for a vetiver junkie. I know, I am one!